Essential for: Oil and Fluid Changes. Rigid plastic oil and fluid container, with pouring aperture for easy fluid disposal. 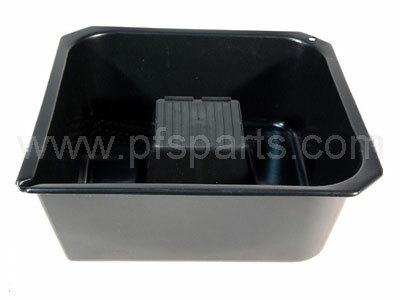 Our fluid tray also has a handy raised platform, so this product can double up as a parts cleaning tray. Made from a durable plastic that is Oil, Petrol, Diesel and (weak) acid resistant. Don't forget to add one of these products when ordering your service kit, it’s got to be infinitely better than using a washing up bowl! !